This film tells the story of an extraordinary young boy, called Phendulani, who survived the streets of a South African Township to become a high-flying student. What does he think about the state of South African today? What does he think about the country's dark past and what are his hopes for the future? Follow Phendulani on a journey through his neighbourhood with filmmaker Paul Cooke. 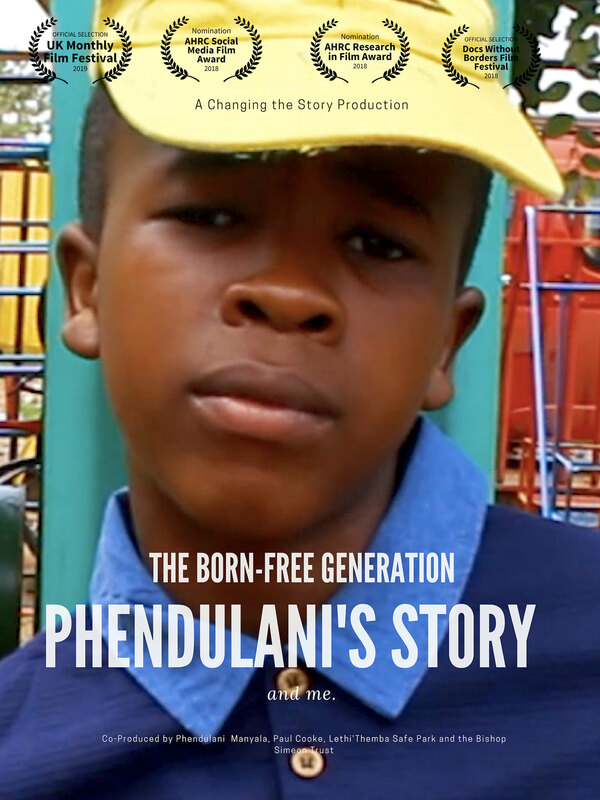 The film is a short documentary that tells Phendulani's story, as well as showing the reflections of the filmmaker, Paul Cooke, about his work in South Africa working with Phendulani and his community. This film has emerged out of a series of projects we've been working on with the Bishop Simeon Trust. This is an amazing charity to supports vulnerable young people in Gauteng, South Africa, who use a series of 'Safe Parks' or youth centres. Over the past two years, we've worked with the Bishop Simeon Trust to use participatory filmmaking to help young people raise awareness of issues that are important to them but that they feel are not properly represented in the mainstream media, or that are not discussed widely enough in their community. Have a look at this Yarn story to find out more about what we've been doing in South Africa. Here's the trailer to our film. We were really pleased to be nominated by the Arts and Humanities Research Council for two of their national film awards. We've been involved with a wide range of projects in the UK and abroad. What they have in common is that they are all focussed on dealing with the legacy of 'difficult pasts' and also on supporting marginalised groups to effect change in their lives. Have a look at this Yarn story to find out more about the participatory filmmaking projects led by the Centre for World Cinemas and Digital Cultures, at the University of Leeds where Paul Works.